We are a small nonprofit organization, and our core work, including our Tenants' Rights Hotline, supporting tenant organizing campaigns statewide, and assisting our Legal Department, is only possible with the support of volunteers and interns. Our office based in San Francisco is relaxed and fun to work in. We are passionate about what we do, we enjoy our work, and we support each other. 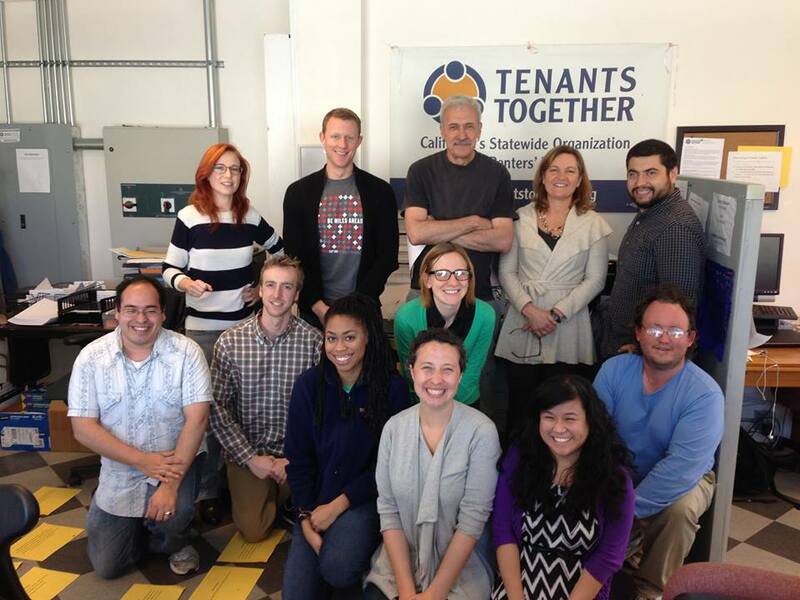 If you would like to volunteer or intern with Tenants Together, fill out our Volunteer Form here and send an email to Sara, Hotline & Volunteer Coordinator at sara @ tenantstogether.org. Please let us know a bit about your background and how you might be able to help. Fill out the Volunteer Form here! Not near our San Francisco office? Become a Member-Volunteer and help in your own community by getting the word out about Tenants Together, forming your own action group, contributing skills remotely like graphic design or translation, and more.